As Salt Lake City has become the hip place that politicians and developers have always wanted it to be, the capital city is running into a problem that cool cities before it have faced: the dismantling of the soulful stores, establishments and housing that made it cool in the first place. 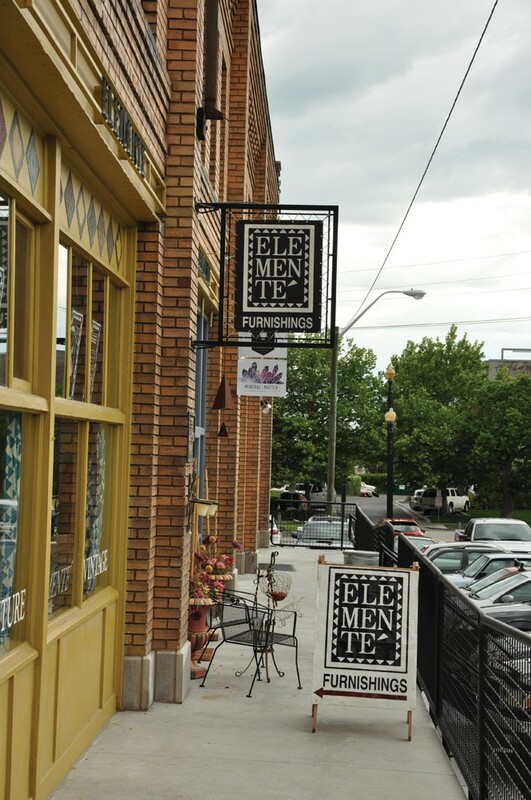 Few locations are more emblematic of this dynamic than the artist enclave of Pierpont Avenue, where in the early 1980s, Artspace founder Stephen Goldsmith inked a 25-year lease on the now century-old Eccles Browning Warehouse, providing a haven for creativity and small businesses. But that lease expired in 2008, and ever since, as surrounding lots have filled with condominiums that climb into the sky, swanky redevelopment projects and the unstoppable march of prosperity headed west, artisans at Pierpont have wondered just how long their community would last. Some clarity came five months ago, when it was announced that a Seattle-based developer, Timberlane Partners, had purchased the property on Pierpont Avenue between 300 West and 400 West. But since then, some Pierpont tenants say communication from the new owners has been nonexistent. The most concrete exchanges have come from a local property-management company which, in March, raised rents and—for shop owners wanting to renew leases—signed extensions through December of this year. 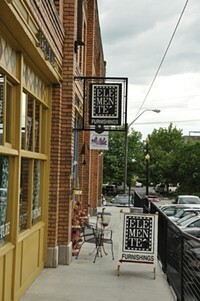 The rent hike and the general instability has prompted Elemente owner Kate Bullen to close her doors. Her store, which was a generation ahead of the furniture reusing and recycling boom of this hipster decade, will close at the end of June. On a recent stormy afternoon, Bullen sat in a corner of the store known as Poetry Corner, a shrine of sorts to conversation where over the decades, passersby, dedicated customers and friends and family have talked out their joys and sorrows. In late March, Bullen says she received a notice indicating that her rent was increasing by 35 percent, and that she had only a couple of weeks to decide whether or not to agree to the terms and sign on through December, or split. With a store full of antique furniture, much of which is on consignment, Bullen says she couldn’t just pack up and leave. So she agreed to pay the increased rent through June. Bullen says Elemente was a “refuge from the harsh world.” Over the years, she resisted the digital age by declining to develop a website. There are no computers, or screens for that matter, in her store. The cash register is a relic that is perhaps as old as the building and the receipts are handwritten. For now, Bullen says she doesn’t have any plans to open up in another location. John Chaffetz, a co-founder of Timberlane Partners, says he hasn’t evicted anyone from Pierpont, and doesn’t intend to any time soon. The rent hike, he says, was an effort to bring rents into the realm of commercial viability. Chaffetz says he has no immediate or long-term plans for the spaces. He says they will not be ripped down and he also doesn’t ever want to see it brimming with national chain stores. He says he’s wary of identifying his company as a sort of savior for buildings that could face demolition, but along this line, the value he sees in Pierpont can be realized by preserving it largely as it is. Despite Chaffetz’s preservation-minded words, Pierpont tenants say the lack of communication about what the future holds is worrisome. Salt Lake Underground Magazine has occupied a space at Pierpont for the past 10 years. SLUG Publisher Angela Brown says that, like Bullen, she received word of a rent increase, which she agreed to pay until the magazine’s lease expires in December. The irony inherent in the redevelopment of a city, or a neighborhood, isn’t lost on Brown, who along with her work at SLUG, founded the nonprofit organization Craft Lake City, which hosts an annual weekend-long localized craft fair each summer, and conducts workshops and other outreach events throughout the year. SLUG, Craft Lake City and the other artists and entrepreneurs in the area are what has made it possible for a property in the area to fetch millions of dollars. (Chaffetz declined to say how much Timberlane paid, though some tenants say it was $10 million). According to Salt Lake County records, the building and the two lots it sits on have an assessed value of $3.5 million. ut Brown also understands that things change, and as the economic tide rises, developers will be increasingly lured to areas traditionally occupied by lower-income residents and small-business owners. To help ease the blow of this reality, Brown says she’d like to see the city develop some type of system to help facilitate communication between developers looking to make cash and the real people who happen to occupy these real-estate gold mines. The Pierpont sale came on the heels of another property transaction in July 2014 involving the lot that houses Ken Sanders Rare Books at 268 S. 200 East, The Green Ant furniture store and several other small shops that stretch from the corner of 200 East west to Edison Street. This lot was leased by Ivory Homes, one of the state’s largest home and apartment developers. Goldsmith, who is now an associate professor at the University of Utah’s Department of City & Metropolitan Planning, says he hopes the new Pierpont owners will take care of the building, the tenants and the neighborhood. If they do, he says it’s possible for Pierpont to fill their pockets as well as their spirits. “I think it’s up to the new owners to join us as we cared so much about people and place and making sure that we can retain that authenticity and diversity and retain a place that provides safety for those who are creative, as a safe place to take risks, whether as an artist or a small business,” Goldsmith says. As it is, Goldsmith says Pierpont houses exactly the sort of shops and artisans that give a city its soul. UFA Board considers recouping bonuses paid to former chiefs and turning investigation over to law enforcement. How a single real estate deal highlights a city in flux and in crisis. That Utah could end up voting something other than Republican proved delusional. Desperate and facing homelessness, one vet seeks answers from local social service agency.